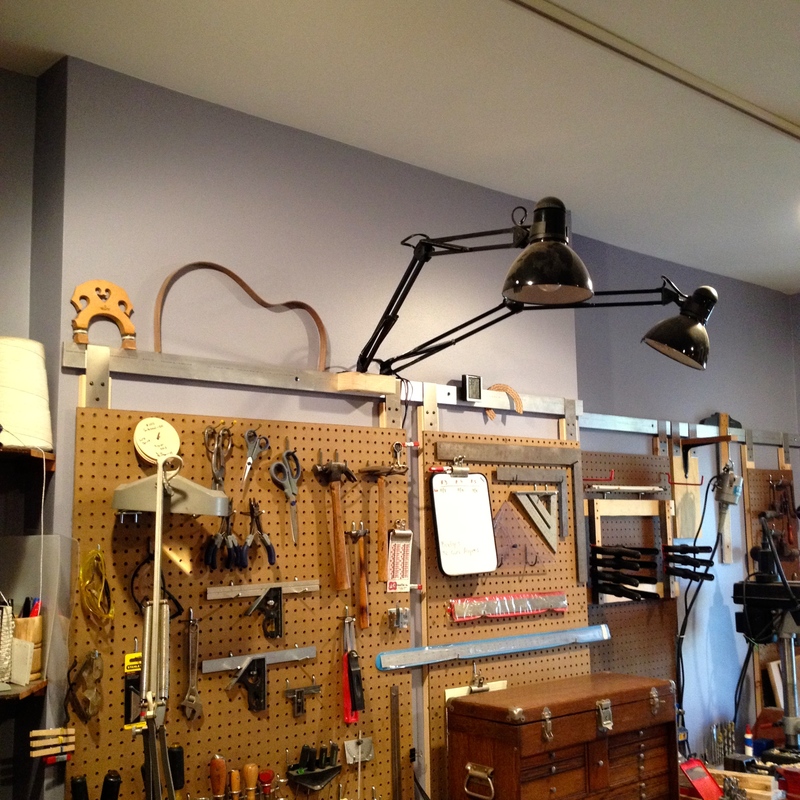 Before polishing the guitars, I decided to upgrade some shop lights. 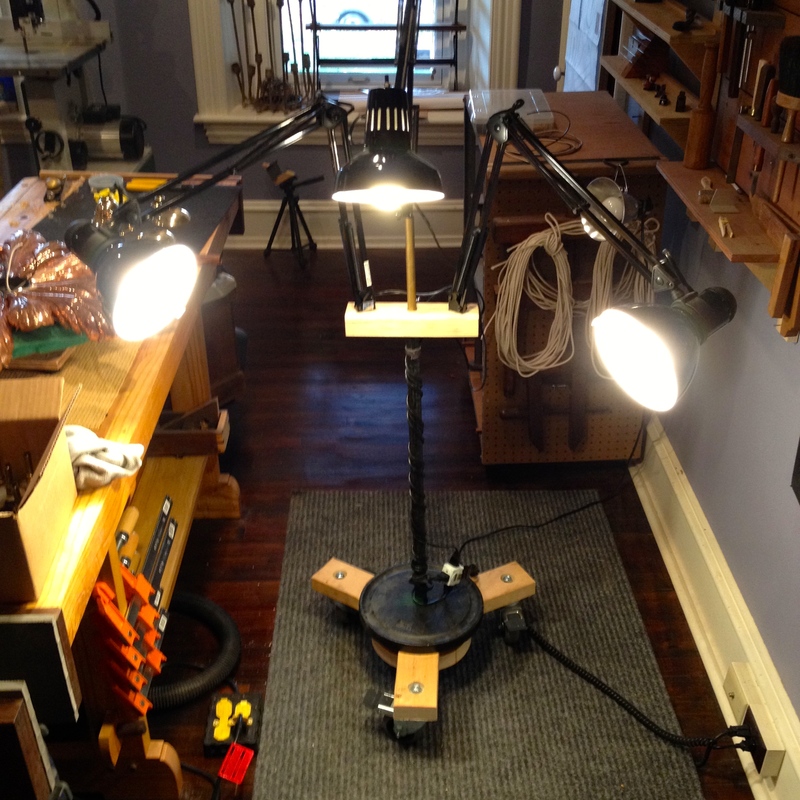 I have very poor natural light in my shop unfortunately. I stole two task lamps from above one of my benches. I had a thrown together lamp that I would roll around. I made a new base and added the two additional task lamps. I even made the center one on a height adjustable pole. 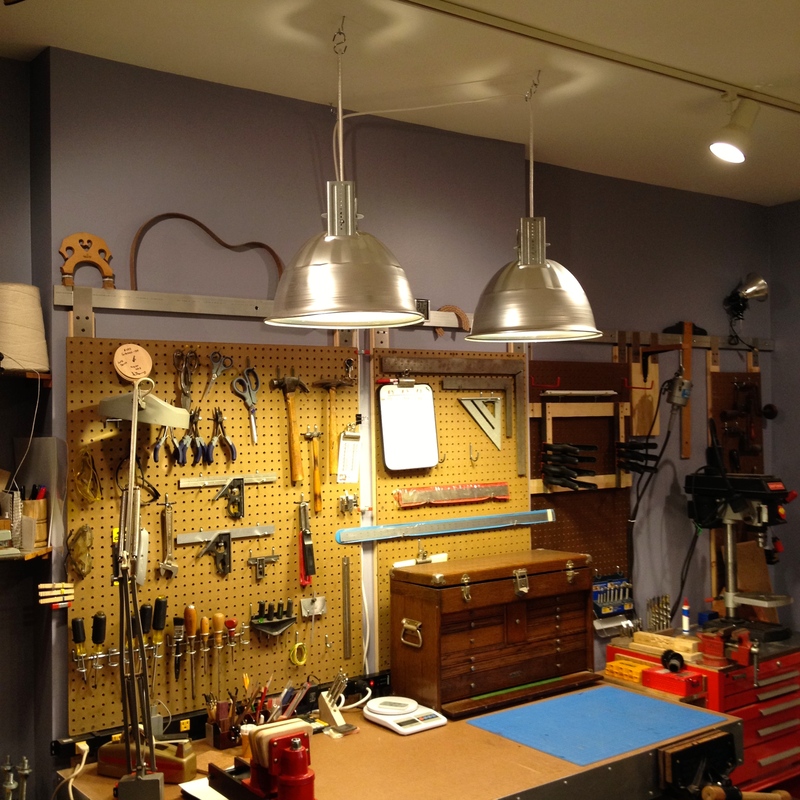 Over the bench, I made some new pendants from some old high bay lighting fixtures that were destined for the scrap yard. Now just to experiment and find the right bulbs, especially for the portable lamp. I’d like it bright enough to do surgery if I turn them on.